DETROIT – General Motors global vehicle chief engineer Jeff Luke says he’s a truck guy – and he has the passion to prove it. Luke, who oversees the development of GM’s full-size truck lines, traces his love affair with pickups back to his days growing up in Oshawa, Ontario, Canada. As part of Luke’s introduction during a media preview of the 2014 Chevy Silverado and GMC Sierra, an old photo was flashed on the big screen, showing a young man standing proudly beside a new brown and beige 1985 Silverado. It was Luke, along with the Chevy he’d helped his dad purchase, and it marked the beginning of a long love affair with pickups. 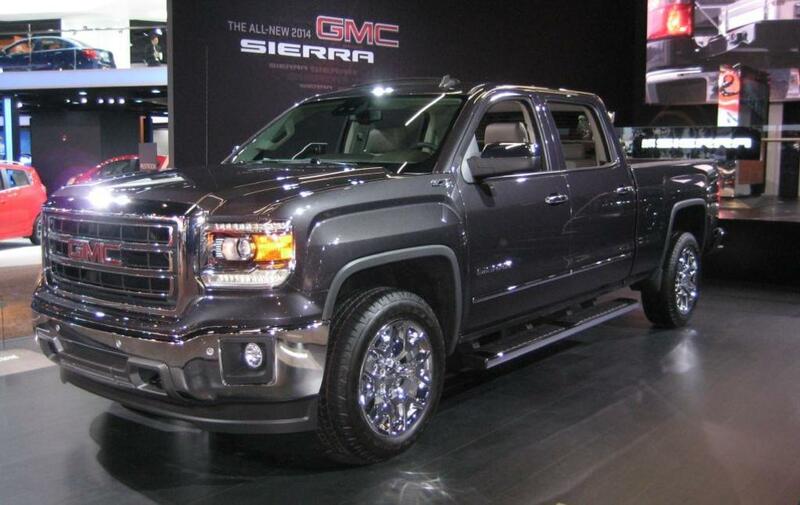 "Dad let me spec out the truck," Luke recalled during an interview with Autofile.ca at the Detroit auto show. "I remember he let me tick off the AM/FM/cassette radio on the order sheet, which I thought was pretty cool." Dad said thumbs down to air conditioning, however. "He did let me order a sliding rear window, though." Luke said the ’85 Chevy was worked hard. "Dad had a 100-acre farm at Tyrone and we used to go up there on weekends and chop wood, then haul it back home to Oshawa." Those days helped Luke learn what’s important to truck buyers and now, as head of GM’s truck team, he makes sure those needs are answered in the pickups he builds. Subtle touches, for example, such as the new LED light in the cargo bed. "Most owners have a tonneau cover over their bed and the back light on the cab isn’t much use when you’re trying to find something under the cover," he said. His bed light solves that problem. A firmly-established trend in the full-size pickup segment is a shift to crew cabs, which now accounts for nearly 70% of GM’s light-duty truck sales. 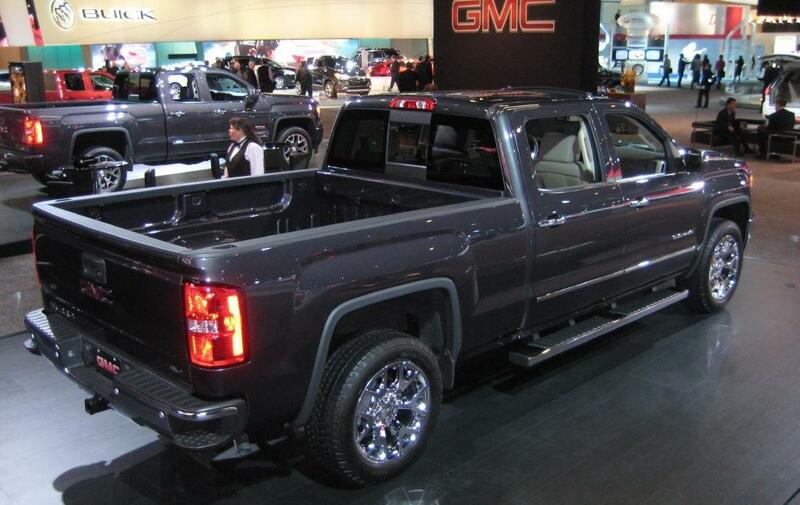 Knowing owners of such trucks have specific needs, Luke pushed for improvements in the interiors of GM’s 2014 iterations, particularly in the rear seat area. Compared to the current models, there is now 100 more millimetres of foot swing area, making entry and exiting from the back seat far easier, especially for big men in work gear. There’s also 50 more millimetres of leg room, as well as a five percent improvement in the foot area under the front seats – handy for occupants with big feet and their Kodiak boots. Luke’s awareness of what truck buyers expect from their pickups – usable horsepower and torque – prompted GM to only offer naturally aspirated engines for its 2014 trucks, while its prime competitor in the segment – Ford – is opting for turbocharging to help achieve the fuel economy so critical in today’s market. Luke said his lineup of all new engines – a 4.3-litre V-6, a 5.3-litre V-8 and a 6.2-litre monster borrowed from the new Corvette – will feature best-in-class horsepower and torque, yet they’ll also deliver superior fuel efficiency, especially under heavy load, such as towing or hauling a hefty payload. Turbocharged engines, dealing with the same load, are in boost mode to cope with the higher demand for power – and that consumes more fuel. Luke is confident GM’s naturally aspirated engines will be more efficient, compared to the turbocharged engines, in a working environment. Luke said GM has not only made the 2014 trucks far more refined, his team has also implemented numerous technical upgrades to the engines, transmissions, even the chassis and bodies, to make these trucks more fuel efficient. Fuel-saving technologies built into the new GM pickups include cylinder deactivation, which shifts the engine to a more fuel-efficient, four-cylinder mode when power demand permits. This feature is not limited to the eight-cylinder engines; the V-6 uses it as well – a first in the industry. "We think we have the right formula," he said. "Our customers want V-8 performance when their trucks are working hard, but we’re giving them the fuel efficiency of a four-cylinder when the load is light." Luke points to other improvements that will help improve fuel efficiency, such as electrically-assisted power steering. Not only does this system conserve fuel, Luke says it has been tuned to provide quicker response, yet requires lighter effort in low-speed situations such as parking. The weight of the new trucks has been reduced significantly. New hydroforming techniques, along with more extensive use of high-strength steel, have helped reduce the mass of the chassis by 25 to 30 kilograms. The hood is now made of aluminum, as are the suspension control arms and wheels. Three-quarters of the cab is now comprised of high-strength steel, as well. Wind-cheating – and fuel-saving – changes include tilting the windshield one more degree than the current model and reducing the side mirrors to reduce drag. The smaller mirrors also help reduce wind noise, as do the new inlaid doors and triple seals around the door openings. Luke said occupants will notice a significant reduction in interior noise levels, compared to previous generations. Luke confirmed that GM has dropped the Avalanche model for 2014, although he did drop hints that some interesting additions to the lineup will be coming down the road. With his personal passion for pickups, it’s no surprise he continues to look for ways to make GM’s pickups the best in the business.